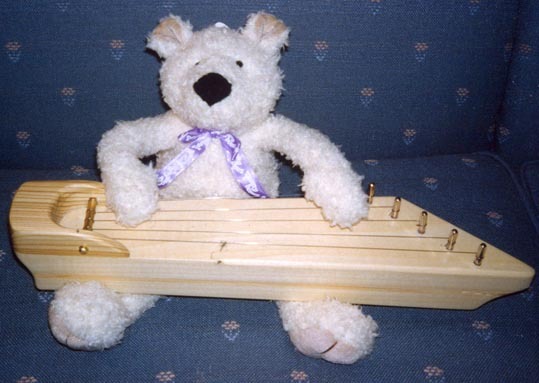 This cat kantele ("katele") was made for Mimmu Turunen. There are two means of refuge from the miseries of life: music and cats." 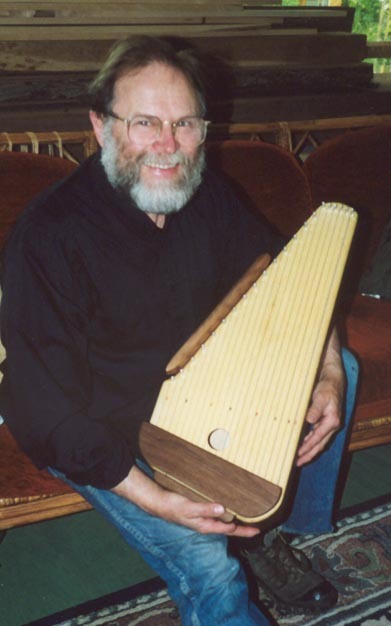 ..with its friend a moose kantele. now in the capable hands of Lani Thompson. 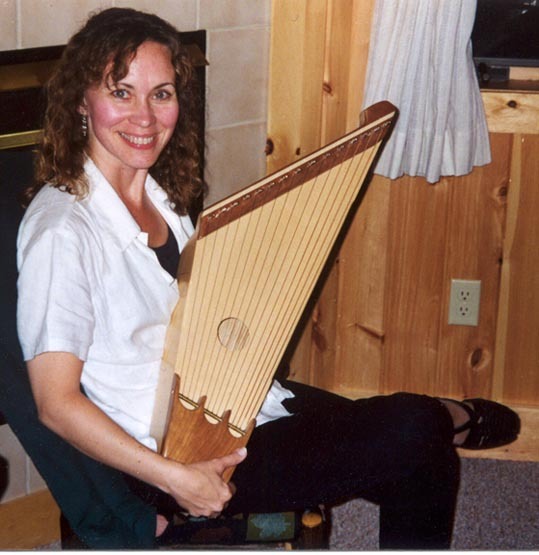 A five string kantele with a deep body - 7" deep. It has a marvelous sound. a five string carved from a junk piece of cedar slab. now in the hands of Heikki Laitinen (here playing a bluesy tune with a slide). playing his pikku five string. 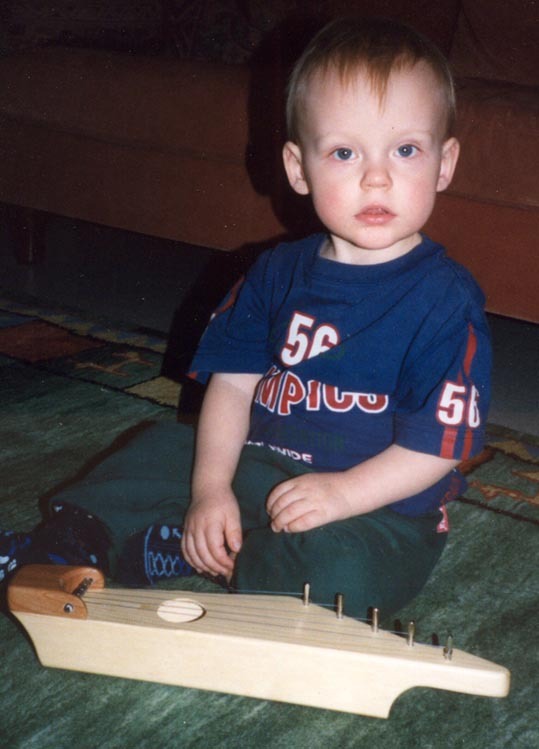 A young Paakkunainen with his "pikkupaakkukantele". 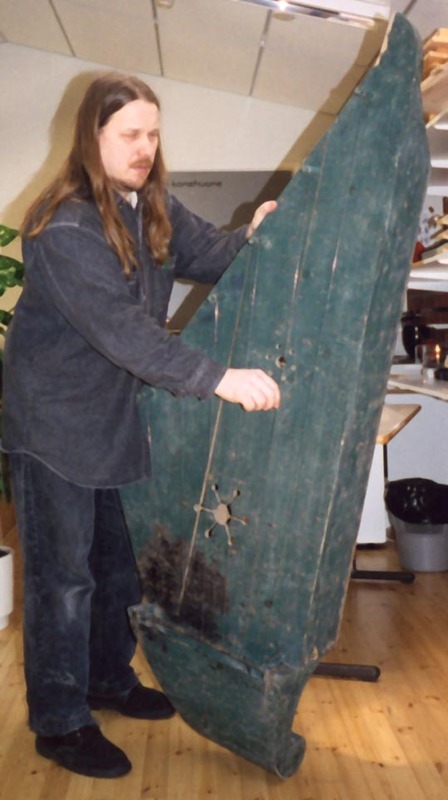 Väinämöinen's original "jawbone of a pike" kantele. 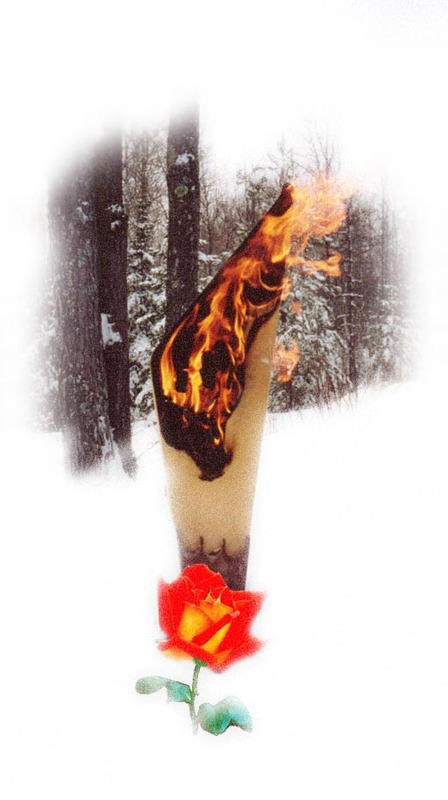 Found washed up on the shores of Lake Superior and repaired by Gerry. ("Devil or Angel", "Come Back When You Grow Up", "The Night Has A Thousand Eyes" were among his big hits). 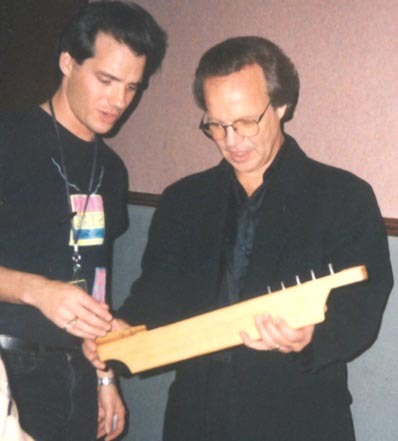 Here he looks at his new five string kantele with his son and wonders how in the world to play it. 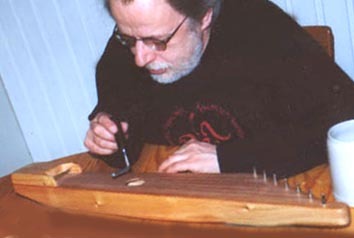 Master luthier Rauno Nieminen playing a huge 5-stringer (not made by Gerry). I include it here because it's one of the best sounding I've ever made.